The joint effect of herbal pearl bath with warm water and different herbal concentrates made of curative herbs is used for improving blood circulation, relax the muscles and alleviate pain. When choosing the procedure, the effect of different herbs is considered (calming, invigorating, sedative, stimulating metabolism). The bathwater temperature is 36-38 degrees. 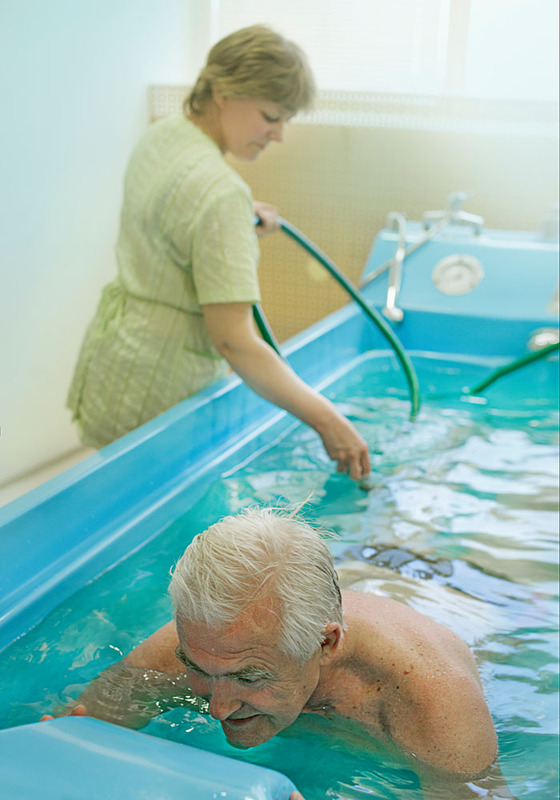 Underwater massage is performed manually underwater – by directing the stream of water emerging from the hose (0,6-1,5 atm), the whole body is massaged, starting with the feet; or automatically, via a mechanism built into the bathtub.